This is one of those stories about a wonderful product that you can't wait to get your hands on, get it, fall in love, and proceed to forget about it because you have 9217346 new makeup things to oogle at. I really enjoy the L'Oreal Infallible Eyeshadow formula and had Amber Rush and Bronzed Taupe in my collection in 2012. 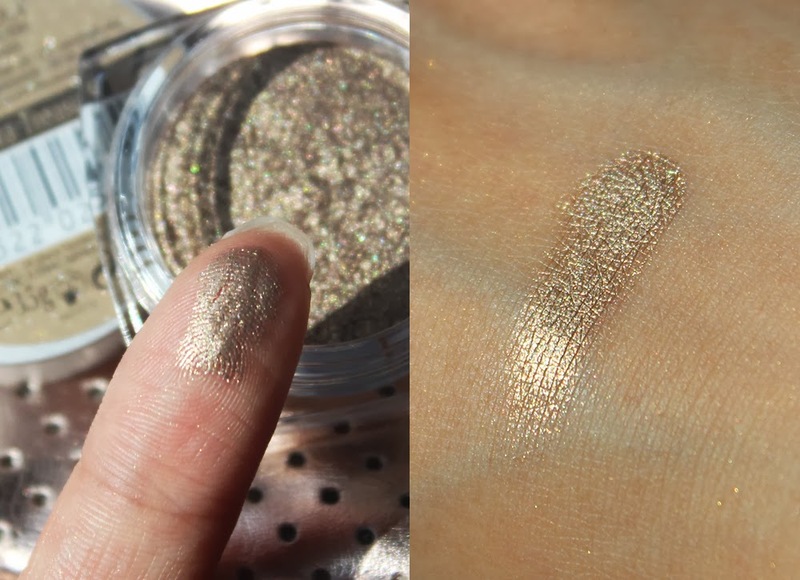 I had seen pictures of Sahara Treasure, a shade not sold in the U.S., and dreamed of owning it. It looked stunning on other bloggers and looked like the perfect taupe gold. Well, I happened to spot it at Douglas in Cologne, Germany and bit the bullet and paid something like €11 for it. It is every bit as gorgeous as I imagined and am so glad I found it in Europe. I thought the price was a bit much since I can find the same shadows at home for less than $8. This particular shade was the very last one in the display and I held it in my hand while walking through the whole store, contemplating if I should get it. Sahara Treasure is one of the most unique eyeshadows in my entire collection and I have nothing quite like it. It is a neutral gold color that does not lean too yellow and has a tinge of silver and green in it. The metallic finish is stunning and so true to pan. 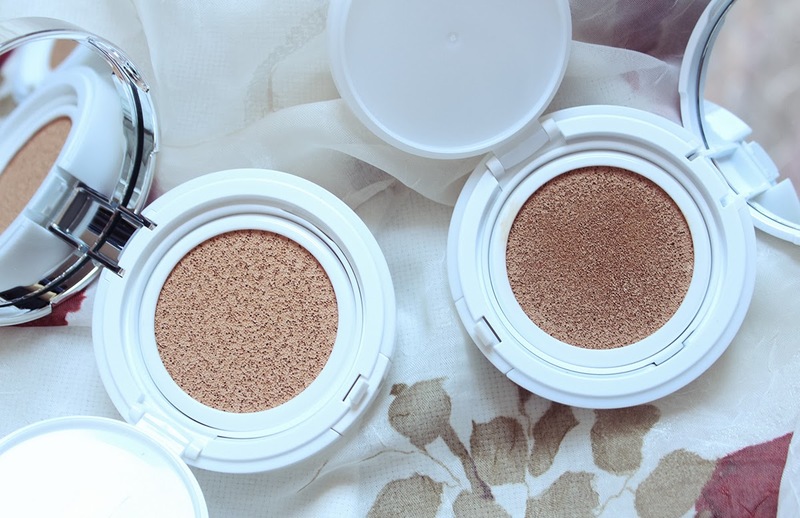 Like the other L'Oreal Infallible Eyeshadows I have tried, Sahara Treasure has the same almost-creamy powder formula. 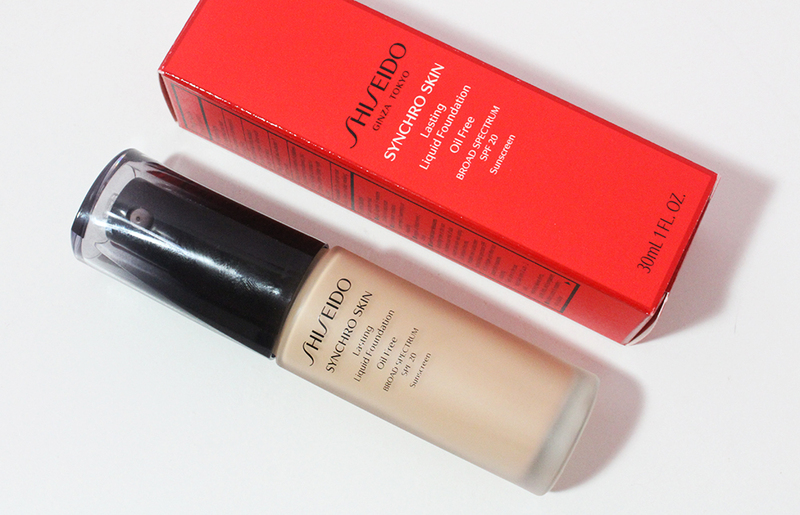 If you haven't tried these, you definitely need to because the formula is so interesting. The closest thing to describing this is a pressed pigment. As much as I love Sahara Treasure, I've only used it a handful of times despite having owned it for almost a year now. I featured it in my 'A Tempting Gaze' Fortnight Face but really want to add it to my makeup rotation more this upcoming spring and summer. Be on the lookout for this if you're in Canada or Europe and I really hope they release this shade in the U.S. I have no idea why they have make most of the shades the same worldwide but choose one or two colors to make exclusive to certain regions. 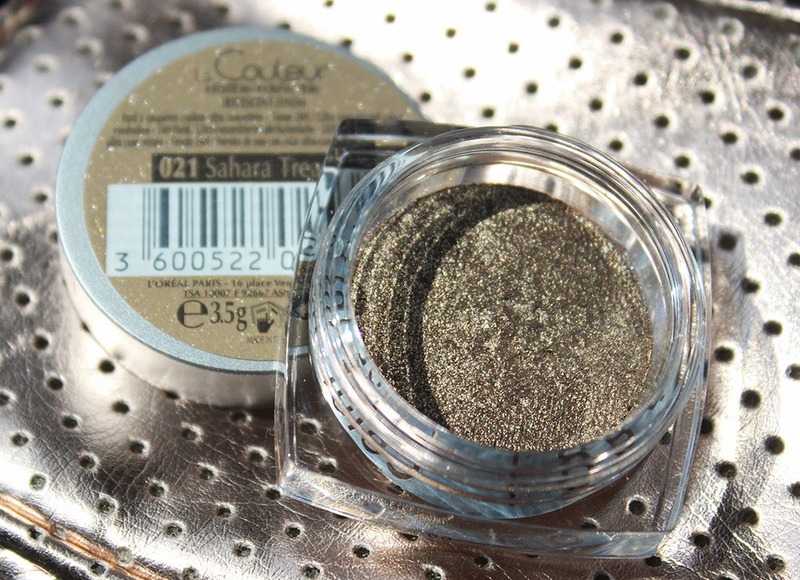 Sahara Treasure would surely be as buzzed about as Bronzed Taupe and Amber Rush if it was available stateside!